Karay Metals, a leading provider of brass products, and many other high-quality metals. Our Company has a large number of automatic and semi-automatic machines, installed to manufacture a diverse and difficult range of brass products. The production cycle includes casting, machining, polishing, lacquering and packaging. Brass is a general term for a set of copper-zinc alloys that may include additional metals such as lead. Different types of brass have different properties, but all brass is strong, machinable, tough, conductive, and corrosion resistant. This, along with beauty and ease of production make brass one of the most widely used alloys. Brass has, for centuries, been the metal of choice for many musical instruments. It’s an ideal alloy for the transport of water through pipes and fittings. It’s also appropriate for use in marine engines and pump parts. It should not be surprising that one of the first commercial uses of brass was on naval ships. While compiling a complete list of all of brass’ applications would be a colossal task, we can get an idea of the breadth of industries and the types of products in which brass is found by categorizing and summarizing some end-uses based on the grade of brass used. We are mainly engaged in manufacturing any kind of brass products and turning parts like electrical / electronic parts, brass sanitary parts, brass inserts, brass earthing accessories, brass battery terminals, brass pneumatic fittings, brass fasteners etc. For us, the customer’s satisfaction is the top priority. Our company owns a large number of automatic and semi-automatic machines, installed to manufacture a diverse and difficult range of brass products. The production cycle includes casting, machining, polishing, lacquering and packaging. The essential distinction between different types of brasses is determined by their crystal structures. This is because the combination of copper and zinc is characterized by peritectic solidification, an academic way of saying that the two elements have dissimilar atomic structures, making them combine in unique ways depending upon content ratios and temperatures. Three different types of crystal structure can form as a result of these factors: We produce different brass products which includes brass tubes, sections, flats, rods, sheets/strips, and brass wire). 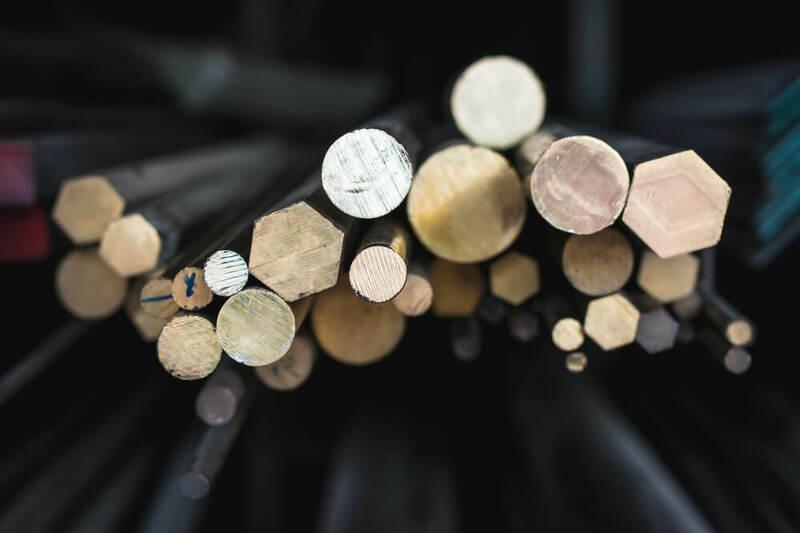 Our brass flat bars are available in different material grades and finish options like brass hex bars, brass hollow rods, and others. These can be used in industrial applications involving fabrication works, these brass flats are precision fabricated as per industry standards and are also recognized for their superior corrosion and abrasion resistance properties. Furthermore, these also come with superior durability and corrosion resistant finish. With availability in varied width and lengths, we can also customize these as per client’s specific requirements. Karay Metals offers the finest in brass tubes, sections, flats, rods, sheets/strips, and brass wire. We are proud to offer you these brass products and look forward to speaking with you. We also produce brass tubes which comes in different sizes according to our clients’ demand. Our brass sheets are high quality that withstands corrosion and mostly affordable by almost everyone. Plus, many more. When it comes to delivering the finest and the best price, with little turnaround time, Karay Metals is the go-to solution.